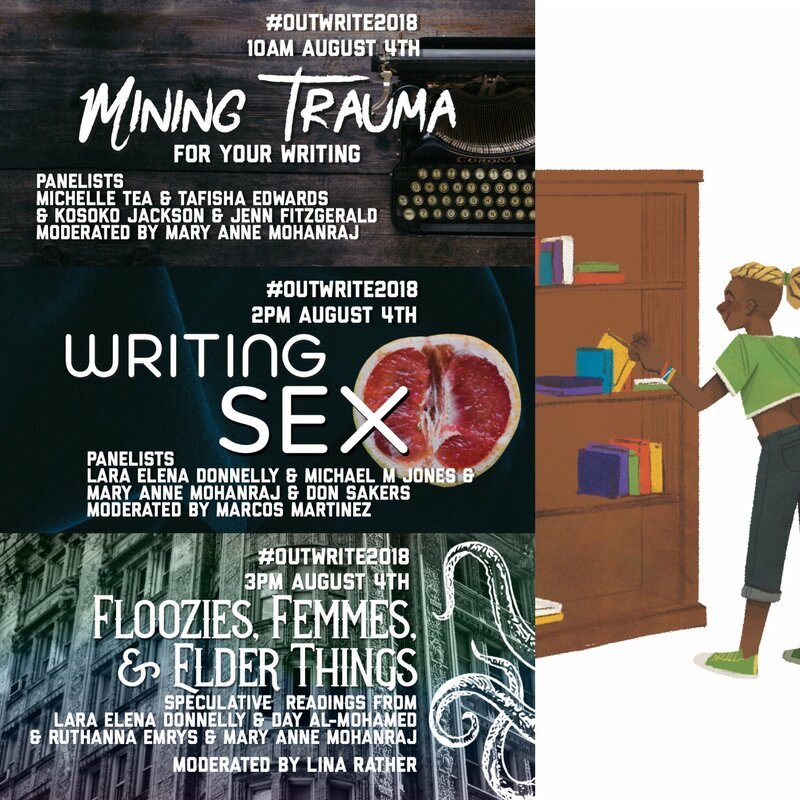 Heading to D.C. today for OutWrite! Look at the nice graphic they made me. I won’t make it there in time for tonight’s kick-off event, and I’m spending Sunday with family, so will miss the writing workshops, but Saturday, I’m there all day — two panels and a reading. (Ping me if you want to do breakfast or lunch, but not dinner, as I have another family event). Hope to see lots of you there! I’m planning to bring a copy of Survivor (which just arrived at my house!) as a giveaway to the morning trauma panel, since it’s a SF/F anthology centered on trauma and survival. Now I just need to figure out how to arrange the giveaway — first one up to the front doesn’t seem like a good method (ableist, among other things).